Wimbledon Debenture seats have unrivalled views of the action on the famous Centre Court. Combined with the best facilities, bars and restaurants they provide an extraordinary experience for ticket holders. 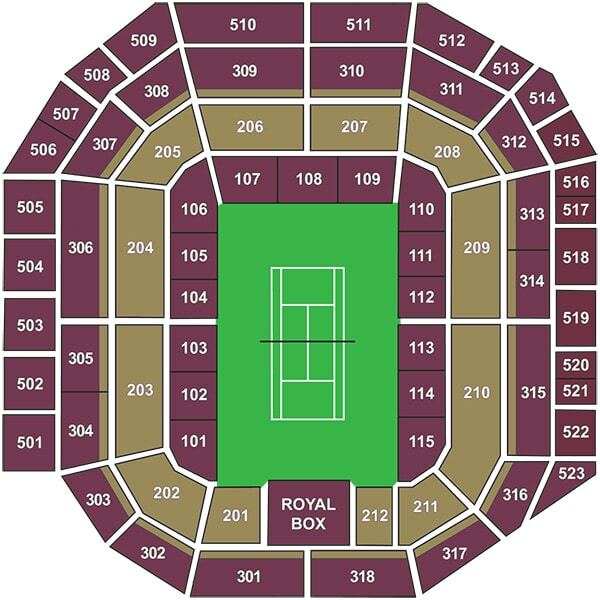 Your ticket entitles you to the full day’s play on Centre Court. With the added benefit of the new roof, you are guaranteed hours of sporting entertainment. Your Debenture tickets are accompanied by a unique badge that grants you access to your debenture facilities, as well as all the outside courts on a first come-first served basis. Debenture ticket seating is marked in gold on the seating plan.